Fraudsters are increasingly targeting consumers over the telephone, posing as bank staff, police officers, other officials or companies in a position of trust. Criminals will come up with all sorts of stories to trick you into giving them information that they can then use to steal from you. They don’t need much – just a few personal details or information about your bank account could be enough for them to steal your money. If you’re contacted by someone you’ve never heard of, whether it’s a company or individual – the chances are it is a scam. If you’re asked to give an immediate answer, hang up – scammers want you to part with your money immediately, so they’ll say things that may make it difficult for you to say no to. If you’re asked for personal details such as your bank account, date of birth, pin number – this is a sure sign of a scam, as reliable companies or your bank would never ask for this information. You can reduce the amount of unwanted phone calls by contacting your local phone company or registering with the telephone preference service (TPS). You can do this by calling 0845 0700 707 or by using their website registration form found at tpsonline.org.uk/tps. By registering free with the TPS it becomes a legal requirement that companies do not make unsolicited sales and marketing telephone calls to your number. The service becomes active after 28 days. Remember though that scammers do not play by the rules and even if you register with the TPS you might still receive scam calls. A scammer may try to con you into handing over your bank card, claiming to be from your banks saying your account is at risk. Don’t agree to send them your card or give it to a courier – your bank would never do this. Scammers will often call you a number of times in an attempt to form a friendly relationship. If you respond in any way they will persist, try and build trust, and may eventually persuade you to part with your money. Having obtained some money from you they will probably call again to try to persuade you to ‘invest’ more money. The scammer will give the number of your bank to call back, but when you put the phone down they stay on the line. This means the line isn’t broken so that when you think you’ve called your bank you’re actually still speaking to the same person. If you get a call like this always check the line by first dialling the number of someone you know. Investment scams, also known as ‘boiler room’ scams, are a serious problem. Scammers will cold-call you and try to sell you investments in stocks and shares, or for example in wine, jewellery, carbon credits or land. The scammers may call you several times and may even give you details of previous investments you’ve made. They will try to persuade you that they are reputable but the investments they offer are worthless. Don’t let the person pressure you into buying. You should always be suspicious of any calls from people saying they represent banks and other organisations you haven’t dealt with before and it should always ring alarm bells. Don’t be afraid to hang up or end the call with a brief ‘no, thank you’. Never give any personal details or details about your finances – such as your bank account details, PIN or bank card details to any cold callers. If you are contacted by someone who asks for these, hang up! Use a different phone to report the call to police or allow at least five minutes for your phone line to clear automatically. Never send money to anyone you do not know or trust, whether in Jersey, the UK or abroad, or use methods of payment that you are not comfortable with. If you have any doubts about your bank account always attend your bank in person. If you have an answerphone, it can be a useful way to screen your calls. Do not be embarrassed to report a scam, because the scammers are cunning and clever, there is no shame in being deceived. 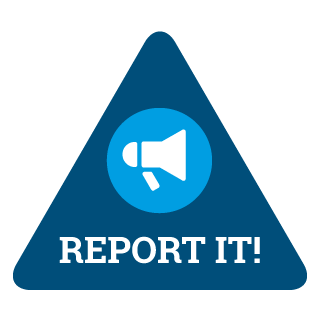 By reporting it you will make it more difficult for them to deceive others. Note down any telephone numbers if possible.